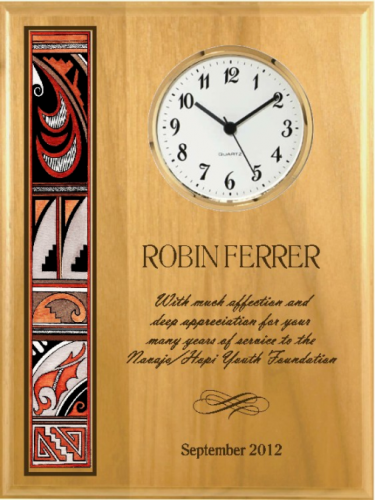 Produced from solid alder, this Native Heritage Clock is laser engraved with a rich Native American design mounted to the left. Includes your custom logo. 9" x 12"
Alder Native Heritage Clock 9" x 12"